To schedule an appointment, please call us at (217) 732-1719. 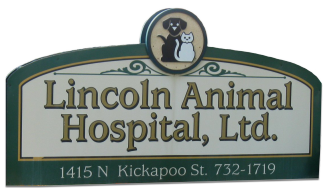 We are proud to provide Lincoln, IL and surrounding communities with state-of-the-art veterinary surgical procedures. We believe in utilizing the highest level of medical technology, and our surgeons are experienced and highly trained.